3 Fat Chicks on a Diet Weight Loss Community - March 2016 - Daily Accountability/Lifestyle Change - Everyone Welcome! March 2016 - Daily Accountability/Lifestyle Change - Everyone Welcome! Hello Everyone! :wave: Welcome to the Check-In! Let's make it a great month! I'm still here so that's a positive. ;) Not much else to say right now..my mind is preoccupied. Good luck to all and let's make March productive. Thank you Diana - a new month and no excuses this time! Novangel - I am going to focus on weights too, and I am also hoping things pick up! Diana - thank you for the thread. Cool mom great job getting to day 25, you're inspiring me to hang on during this tentative restart I'm going through. Beloved you were all smiles in your last post. you seem very happy. Deep Keto is that my body is full adapted to ketosis and I burn no glucose. I burn ketones only as fuel. I have been in full ketosis a very long time without jumping in and out of keto...like if I was to cheat and eat a ton of carbs. that takes one out of keto. ZC plan for me is yes, I eat any time I want, as much as I want and whatever I want. I count no macros, no calories, no tracking, no anything. some plans do want you on a more regimented eating schedule I guess....but for me, mine is not one. I don't know Ideal Protein at all. never checked into it. I am brunch time eater, like 11-1 is my first eating time and then around 3-4 I eat again. that seems to suit me and falls best into my schedule. after 4-5pm range I just am stuffed for the day and eating nothing, just hot tea mostly. rare I eat earlier but if hungry I do and boy do I eat a big breakfast! :) my chance to get alot of bacon in me! Hope that answers some questions for you. DOWN 1 LB. YIPPEE! I needed to see some movement. I just do my thing and finally the clouds open up and the scale drops. I got my gift from the scale gods :) I love seeing the collarbones coming out sharper for sure! dinner either 1/2 roasted chicken (if I make it) or maybe just a 1 lb. hamburger patty with little cheese if I go lazy. not sure on exercise. 1 med. hard short exercise tape to get the blood flowing. then instead of inside, will probably take dog to mountain trail and hike. outdoors for me. I hope I can arrange my day to get this fit in. Eating less again. not hungry at all. I think the warm weather getting me outside in the sun is effecting me again. winter cold shuts me down and I am bored and eat more. Getting outside in that wonderful sun just keeps me moving and occupied and happy as a clam. cravings under tight control. almost a year eating A72 induction food list/ZC and I realize I am finally changing my mindset into a more firm 'lifestyle change'. I think time on plan and learning how to make your foods work into your life is so important. I don't change my habits overnight, in a month, in 6 months even :), it takes me longer to truly change. I think after all this time the good benefits are finally coming my way. I know I put in the time and effort. Hi all. March is my birth month and as such i expect there will be cake and ice cream, I'm willing myself to go for banana bread instead of cake and yogurt instead of icecream but we shall see. I've been having aches and pains lately and one of my doctors suggested it could be my endo flaring up. That's one matter of concern for me because I've got one ovary left after an endometrioma enveloped the other one. Trying to stay positive is touch because I'm genuinely scared of it coming back and getting that bad. On a good note, today is a carb day for me. so I get to have a few complex carbs with my meals. I just need to find time to cook. I wanna hit the gym but I've had this back pain since Saturday night so I may have to go easy. Also I hit my 10 cups of water! Victory! and most importantly.... Thank you for the new thread Diane! Hi all! I'm looking for a busy daily thread to motivate me more, especially when little sweet cravings kick in. I haven't been counting calories but may start depending on whether I make any progress this month :) I'll take some measurements when I get home. Wishing everyone a great day and a successful month! some plans do want you on a more regimented eating schedule I guess....but for me, mine is not one. After my big accomplishment of fitting into the size 10 jeans, I don't feel I'm losing a thing, soooo I'm going to incorporate Pilates this month. Once again, I'm glad I'm not weighing in because I always gain the first week or two when I start Pilates. Thanks Diana for starting the March thread! I'm sorry about your angioedema. I hope it clears up soon. Kellijpa - I'm hanging in there right with you. I don't feel like I'm losing any weight (I'm definitely not losing any girth) so this is the month I change things up a bit. Souvenir Darling - Welcome! You're so close to your goal! Sundove - Congrats on the loss! Are you hungry eating so few calories? Or is your diet low carb enough that you're not really hungry? debest - I'm glad you got the frozen veggies! Hopefully, you'll be better about eating them than I am! Congrats on the 10 glasses of water and an on plan day! Novangel - Are you a hairdresser? We'll all be going in for our Spring haircuts soon so you will be picking up. Larry - If I don't start dropping some weight I may join you in your zero carb club in April! Volatis - Good luck with the weights. I'm hoping the Pilates jump starts me. 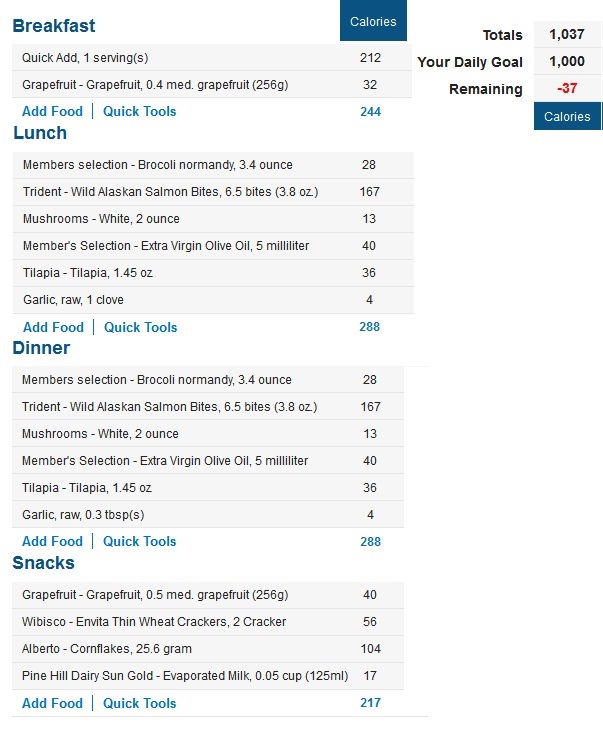 ZCA72 - I'm low carb but I'm nowhere near zero carb but I sort of eat like you. Probably a little earlier. 10 am and 2 pm. And then sometimes I won't eat dinner at all. Congrats on your gift from the scale gods! I hope they keep coming! Exercise: Yesterday was weight and abs day so today is cardio day. Today is my youngest baby girls’ 3rd birthday and her first day of preschool. So needless to say my stomach has been tore up due to nerves. OAN: I did very well yesterday with my diet and excellent with my exercise. Stayed under 1200 to make up for going WAY over during the weekend and did amazing with a 40 minute walk on my lunch, a 10 minute cycle ride when I got home, and a good 15-20 minutes on weights. I’m letting my arms and stomach rest tonight and just focusing on cardio. I took before pictures this morning so I’m hoping I see results over the next few months. For yall on here that have used weights or worked on abs before how long until you started noticing a difference? Thanks for starting a March thread! I've been trying to get back on the wagon after losing 30 pounds last year. I stalled out last fall and gained back about 10 of those. I struggled with depression for a few months and finally got back on antidepressants about a month ago. I'm feeling good again finally, and launched back into low carb about a week ago. Already feeling better. LCF is such a great support site - I always do better when I come right back here. Put an Orange in the Vitamix with water today for Breakky. Just had a Rejuvenator Drink down town at the health food store. I believe it had Carrots, Beets, Celery and Parsley in it. Will undo it all when I have my weekly Dunkin Donut medium coffee with Cream and Sugar!! For dinner will make Beef Burritos with Beef, Onion, Garlic, Cumin, Turmeric, Salt, Pepper, and Chili Powder over Tortillas with Sour Cream, Nutritional Yeast, Carrot, Lettuce, Avocado, Red Pepper, Cilantro, Ketchup and/or Black Beans for toppings. I cheated though ... and I don't plan to do that often. ZCA72 – YES! It was a very great day… almost have tears in my eyes just thinking back on it. Also… re: horses – one of my goals is to – at least – get on a horse… and if possible do a trail ride. I had a goal that I wanted to run (or even walk) barrels once more before I turned 50. Well that was almost 11 years ago and I still haven’t done it. That would totally make my heart sing if I could do it – just one more time! Speaking of 11 years ago --- THAT SEEMS LIKE YESTERDAY! That the HECK!! Why does it move so fast once we get older?? If only we could tell the youngsters to TAKE their time and smell the roses--- Oh well! I’m off my :soap: (tee hee). I can only imagine jumping – really have to have your head in the game for that one… I have seen some beautiful videos on FB with jumpers. One… the rider fell off and the horse continued jumping … it was glorious watching the horse enjoy itself :dizzy: “THANK YOU!” for answering the questions I asked regarding your program! Have a terrific day … WTG 1 lb dead and gone for good! Diana - :getwell: that has to be difficult… I hope it will dissipate quickly. Sundove - :woohoo: the scales moving in the right direction! Treasa - :goodluck: with the Pilates! Nichols - :cp: :cp: great job moving that scale… You are getting so close to goal! HB to your little one! And :hug: to you for the change of her starting preschool. Rachel – HI :wave: nice to meet you. Good Luck on meeting your goals! Inkrid – I am so ExCiTeD for you re: the dress! That’s just fantastic! Thanks for the will power dust… I receive it. :) Your dinner/supper sounds yummy. Treasa: Yes, I cut hair (90% male clientele so I'm more like a barber) after years of misery working in healthcare. Cosmetology was my original gig after I graduated high school. They say life goes full-circle and it sure did..I'm even working for the same employer I worked for in 1995. I actually talked with my boss today and I'm going to pick up an additional day at another shop 20 minutes north from where I live, I have nothing to lose really. I finally caved and I'm going back full-time. I was so happy when I was making good money and could cut back to 4 days but at this time it's just not possible. I have a once per year vacation habit to support. :lol: I spent 20 years working like a dog just to pay bills, never took any vacation time off. Not doing that anymore. I'm 41 and not going to live forever.